Air pollution is an important facet of the natural environment and its impact on the health of a community. Research has indicated higher asthma rates in areas with higher air pollutant particulates, and for poorer communities this can have a devastating impact as it entails higher health costs. 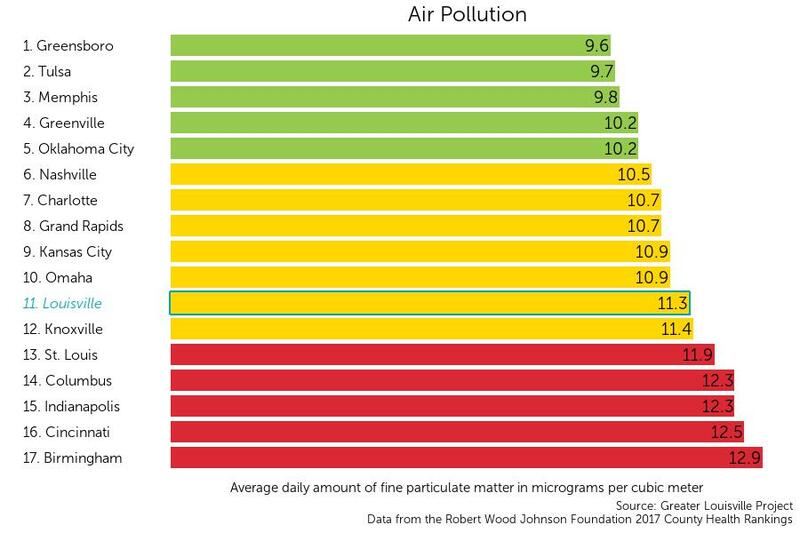 Louisville currently ranks 11th among its peer cities in air quality, a measure of the daily amount of fine particulates in micrograms per cubic meter, with 11.3 micrograms per cubic meter.